Did you delete some files accidentally from your PC? Believe it or not, it's a common mistake people make. The recovery of these files is absolutely possible by picking up any reliable data recovery tools. Windows users could easily recover permanently deleted photos using Wondershare data recovery tool from their PC. Wondershare data recovery for Windows is one of the best windows data recovery software companies which complete successful recovery of the deleted files without any failure. 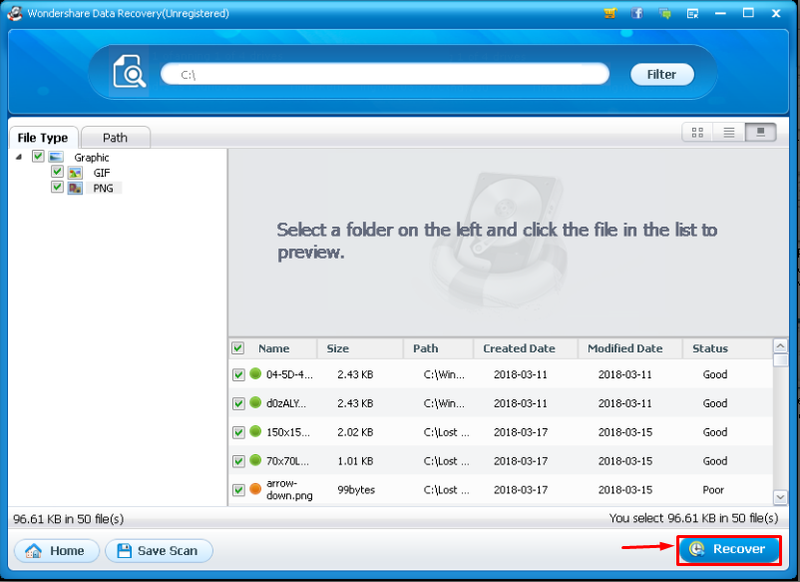 Wondershare is a very safe recovery tool with an easy user interface. Most popular downloaded versions of this tool are 6.6.1, 6.2.0, 4.3.1 etc. However, Wondershare provides its data recovery tool for Android and Mac users also. This utility tool can perform the recovery for USB drives and SD cards as well and handles the procedure very securely. Wondershare offers the free trial of its recovery program for MAC and Windows PC data recovery, support many formats of files in both OS. Recovering photos and large videos is very much safer with Wondershare which is really trustful and secure in this case. 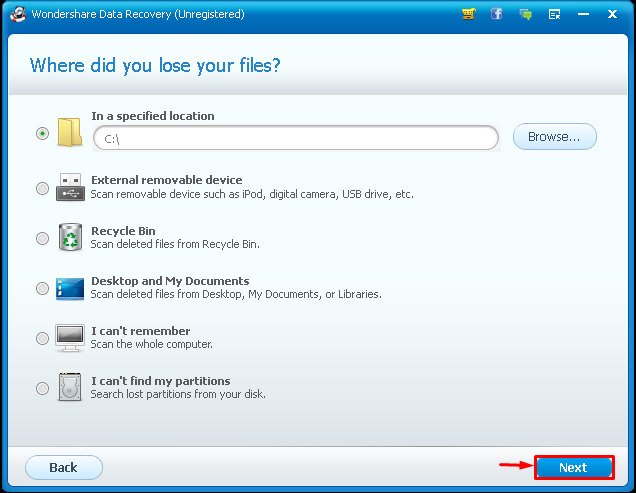 Wondershare is an expert recovering shift-deleted files or recovery of files deleted from recycle bin. 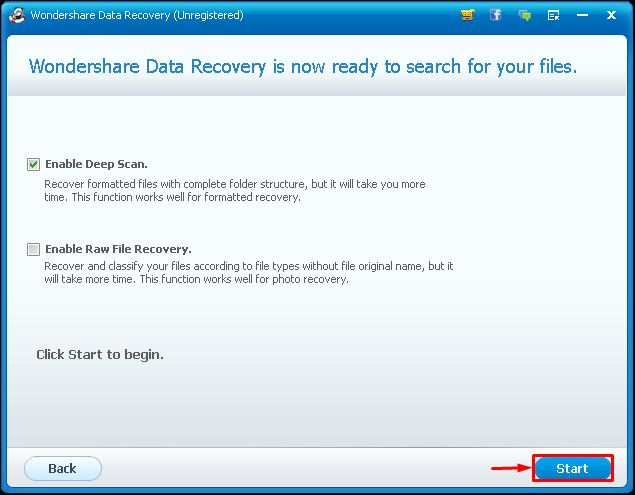 Wondershare can find the files using its deep scan feature and make the recovery possible. Wondershare recovery tool can also perform and successfully recovers data from USB drives and other external drives. Whatever the situation is, Wondershare can handle that very easily. Wondershare offered its recovery program for both Windows and Mac users. However, some Android device data also can be recovered using its 'recoverit' program. Wondershare also able to recover files from Camera Camcorder. Just install it and get back files. Wondershare performs both internal and external hard disk drive recovery. This tool can also recover deleted files from the removable drives which condition makes Wondershare recovery tool to be a great choice. 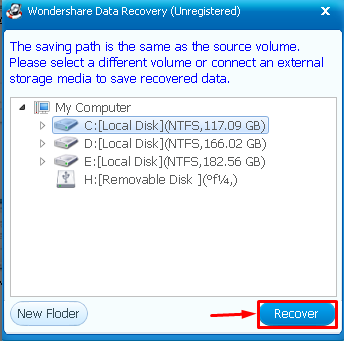 Wondershare can scan and find inaccessible data while performing recovery. Able to deeply find deleted files and recovering those in an easy and quick way. 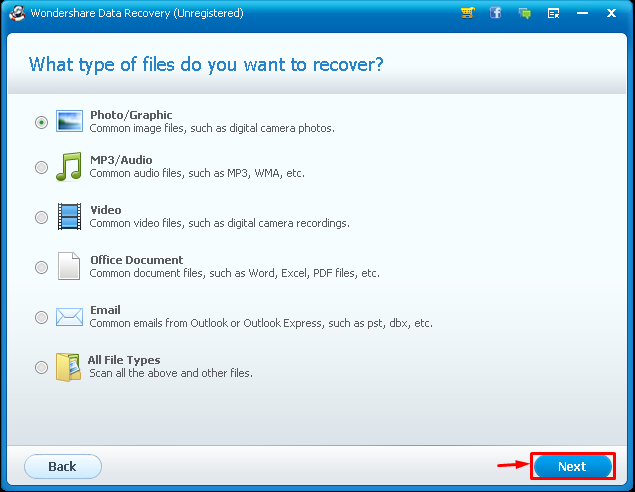 Wondershare data recovery tool can handle all types of data loss during the recovery operation on Windows. Wondershare easily handles sudden power cut, virus attack, OS reinstallation on Windows PC and much more. Wondershare can recover all types of document formats, images, videos, emails (.PST, .DBX, .EMLX formats), zip files etc. Supports Windows File systems NTFS, FAT16, FAT32 etc including exFAT external media file system. Does not support SD card recovery at all. Does not provide RAID recovery. At first, download and install the setup. Now, open the software and click 'Next' to process. Then, select the types of files to recover and hit 'Next'. Now choose the drive from where you want to recover. Now select scan options by ticking on it. Then click on 'Start'. Here all the files will be listed. Just choose the files by ticking on those and click on 'Recover'. Now select the destination path to save the files and click 'Recover' to complete. This is the recovery procedure for Windows PC. Just follow this guide to do it successfully. This is important to tell that Wondershare provides accidentally deleted data recovery along with the RAW recovery. If you want to recover your files from your Windows PC then this tool is the best for the Windows PC recovery. 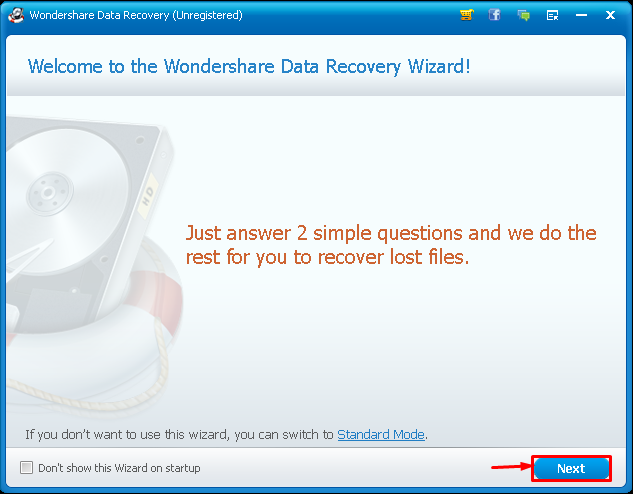 Wondershare Data Recovery can run on Windows 7/8/10, Vista, XP etc.